Two years into the process, the Athens City Council is still debating the proper direction for the Cain Center rehabilitation project. Tuesday, Oct. 30, the council met and revealed a wide difference of opinion among members about how much the project could cost taxpayers. 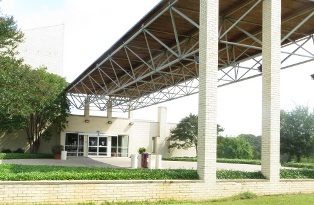 There is also now a minimalist operations plan that may be the Cain Center’s last hope. The East Texas Crisis Center is holding its annual Wine & Cheese Gala this Friday at the Stone Oak Ranch in Murchison. This is an organization vital for Henderson County. They help victims of domestic violence and friends, we have way too many of those. We spoke with the director of outreach Della Cooper about the event and the problem. 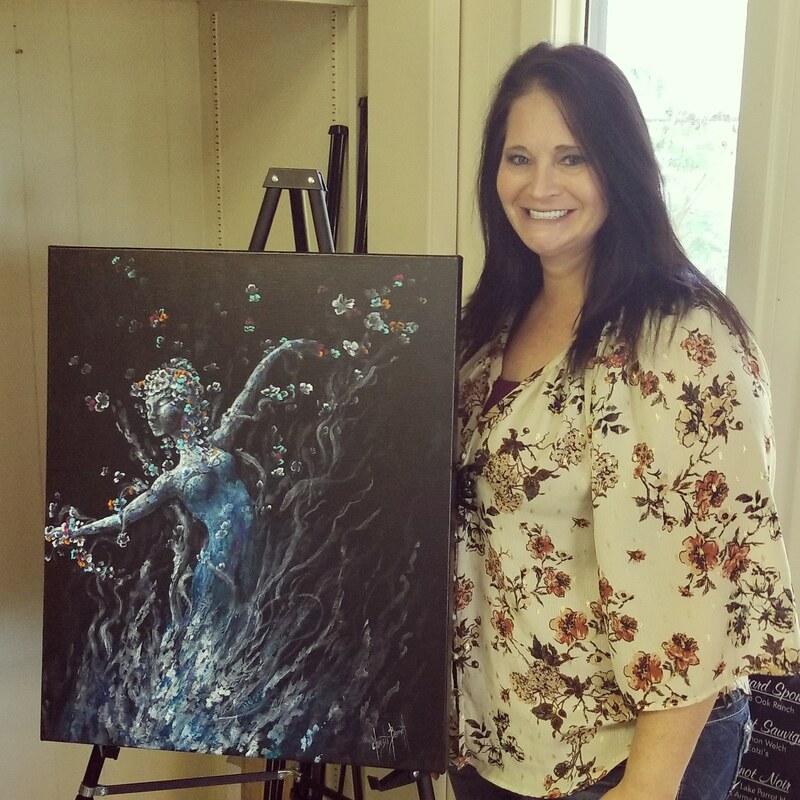 East Texas Crisis Center Director of Outreach Della Cooper stands next to the Christi Barrett painting that will be auctioned off at the annual Wine & Cheese Gala Friday night. 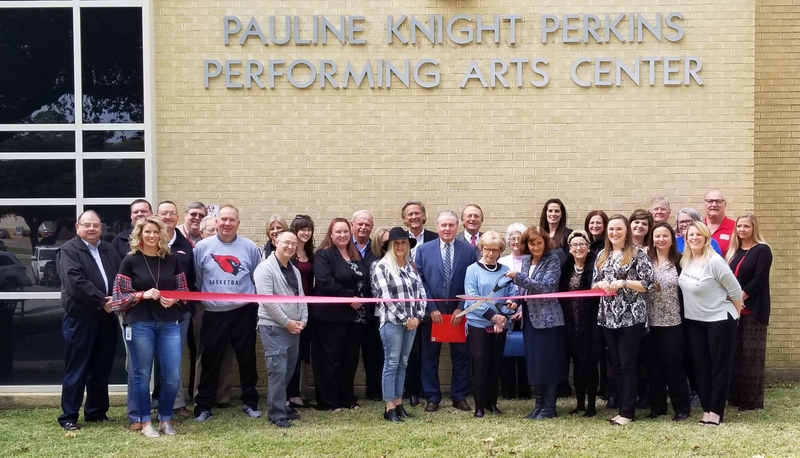 TVCC cuts the ribbon to rename its auditorium the Pauline Knight Perkins Performing Arts Center Monday, Oct. 22. 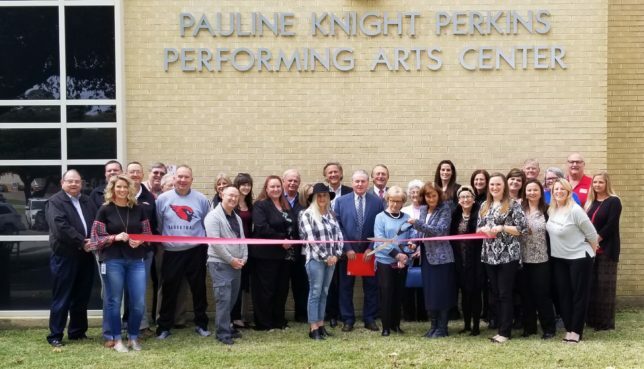 Trinity Valley Community College renamed its auditorium the Pauline Knight Perkins Performing Arts Center on Monday and established a $750,000 endowment for scholarships. The moves are part of a multi-million dollar gift left to the college by Athens attorney Nancy Perkins, the single biggest gift ever given to the college. Listen in as Vice President Kristen Bennett, President Dr. Jerry King, and Foundation Chairman Steve Grant talk about the gift and hits impact on the college. 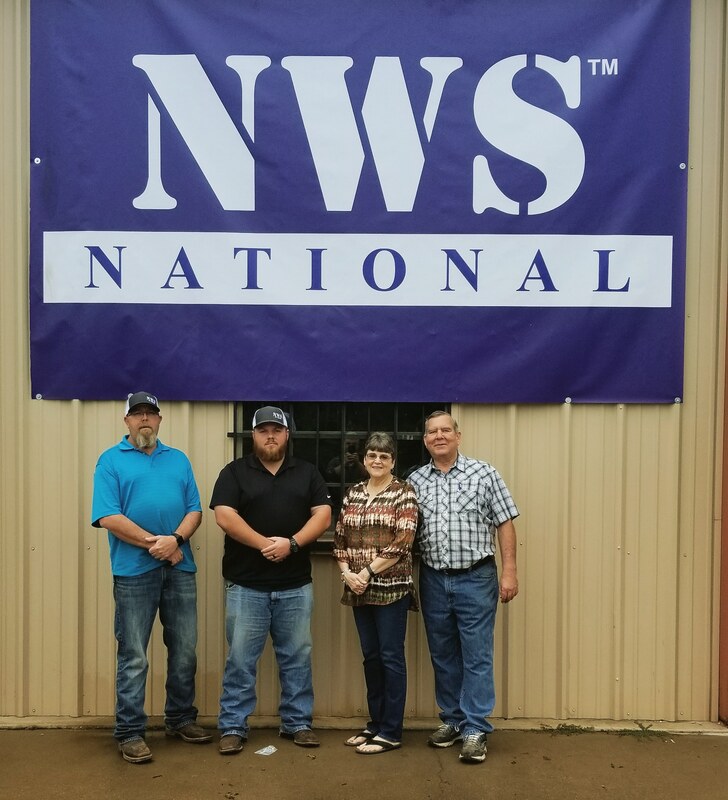 Pictured, from left, are Clint Chambers, Dustin Polly, Sheila Walker and Robert Walker. After 24 years of being an important part of the Athens business community, Robert and Shiela Walker of Walker Plumbing Supply have decided to retire. We sat down with them and the guys from NWS who are taking over. 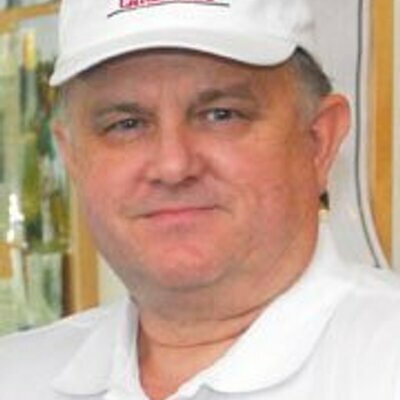 Benny Rogers has been the dean of Henderson County sports for as long as I can remember. For nearly as long, he has been the announcer of his beloved Malakoff Tigers. I talked with him and Malakoff Superintendent Randy Perry about Benny’s tenure behind the mic.